Learning to teach the Bible is a high calling. 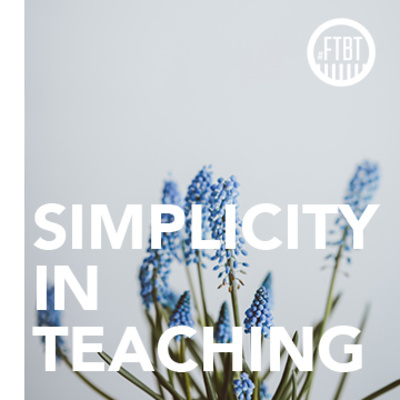 The First Time Bible Teacher podcast walks through some of the basic principles any Bible teacher needs to know. For this podcast, I draw from my 10+ years of Bible teaching experience and countless years of wisdom I've pulled from incredible mentors. Subjects include outlining a passage, using illustrations well, commanding an audience, and much more. Getting Feedback From Non-Teachers with My Wife! Sometimes, we get too focused on what other teachers think of us. If we're not careful, we can teach only for other preachers, not the people sitting in front of us. 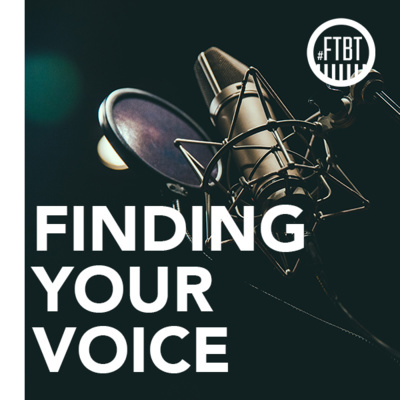 In this episode, I interview my wife and we talk about the way she thinks about listening to preaching, helpful things that make messages stick, and ways you can keep your audience from tuning you out. For more info, visit goodlion.io. When it comes to teaching the Bible, people need to know you're a real person. 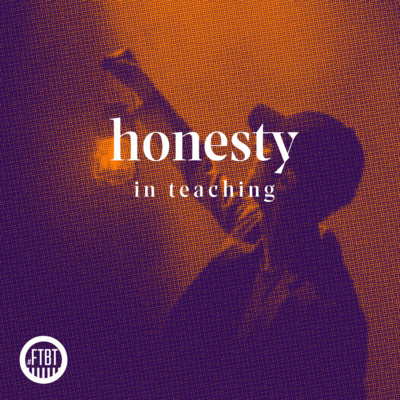 This episode dives into how we can be relatable by looking at four areas where honesty helps in teaching. For more info, visit goodlion.io. 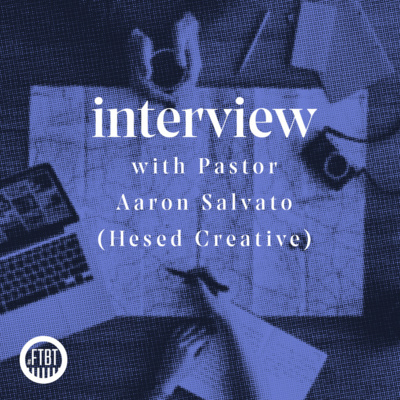 This episode is an interview with Aaron Salvato, Founder of Hesed Creative, Podcast Director of the GoodLion Podcast Network and Former Youth Pastor of Calvary Chapel Vista. For more info, visit goodlion.io. When we teach the Bible to people, we get a small part of their entire lives. 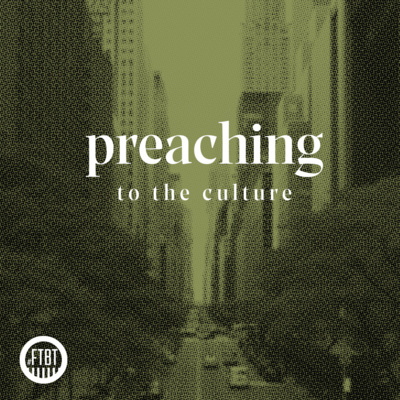 The culture is teaching things to our listeners all the time and we need to speak to those things. This episode discusses the role teachers should take in relating to the culture and practical ways to teach with cultural engagement in mind. For more info, visit goodlion.io. To teach people well, we need to realize the limits that teaching has. Just like a classroom teacher uses homework, tests and so many other things to reinforce lessons, so Bible teachers need to think about using more than just sermons. 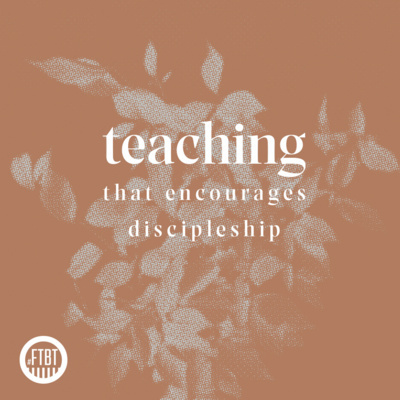 This episode discusses the various ways teaching can promote and come alongside of teaching to help your listeners grow to love Jesus more. For more info, visit goodlion.io. Ever feel like a teaching is just dry knowledge? On the other end, ever felt like a teaching was only meant to pull on your heartstrings without teaching you anything new? 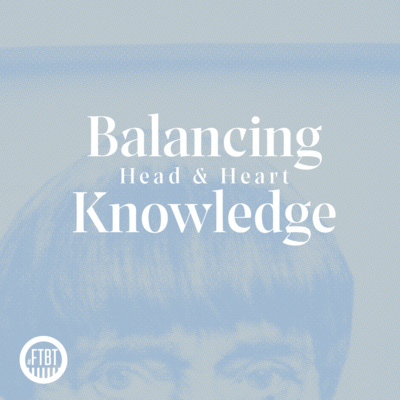 This episode talks about the need to balance those two things. For more info, visit goodlion.io. Teaching is a very personal thing. As you teach the Bible, you need to be very careful to consider the actual people you are standing in front of. Bible teachers can easily start teaching hypothetical people, not the real people in their church. 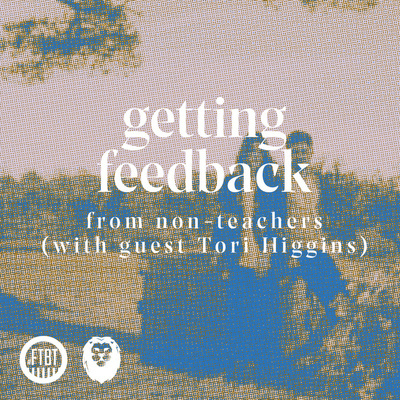 This episode will help you ask questions that guide you towards the people you are actually teaching. For more info, visit goodlion.io. In all of our reading, writing and prepping, the step that might be easiest to skip is prayer. Without prayer, we're just relying on ourselves. That's a dangerous place for any Bible teacher to be in. 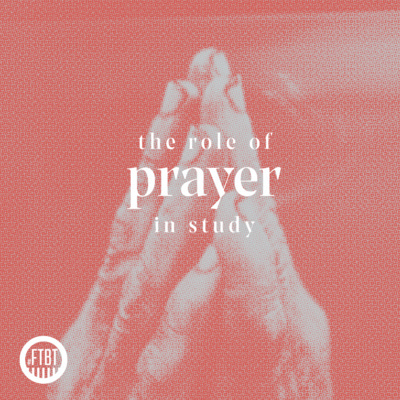 This episode helps you think through the role of prayer in your study and will give you some practical ways to pray more for your teachings. For more info, visit goodlion.io. In teaching the Bible, it's very easy to turn all Bible reading into message prep. 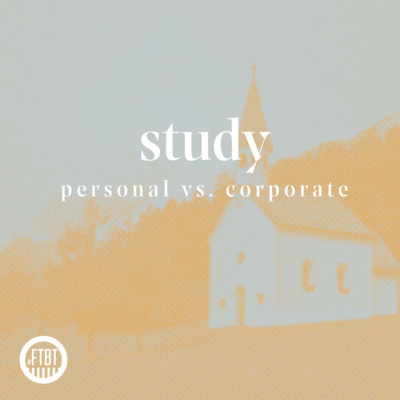 This episode discusses the importance of making a distinction between personal study and corporate study. For more info, visit goodlion.io. In teaching, it's very easy to define yourself by the way you teach. God never asks Bible teachers to identify themselves by the way they perform in teaching. 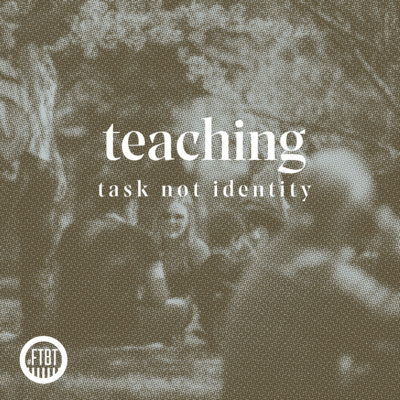 This episode dives into the need to view teaching as a task instead of an identity and gives some ways to help do that. Follow this podcast on Instagram (@firsttimebibleteacher) to stay up to date, get episode art, and learn more about the Good Lion Podcast network. Brand new things are coming to First Time Bible Teacher! Make sure you've subscribed as the new season of First Time Bible Teacher starts on February 11th. To teach effectively, a message needs to be simple enough to understand. This episode is all about keeping things simple so you can keep your audience with you. For more info, go to brianrhiggins.com. Learning how to teach is one thing, but learning how to teach authentically is another. 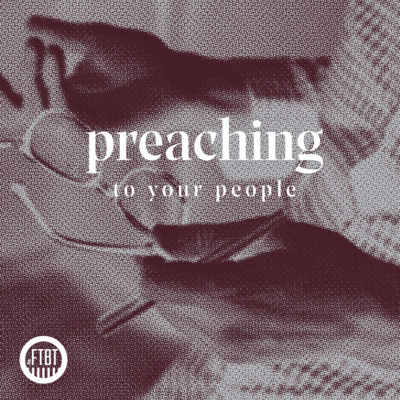 This episode is all about finding your own voice in preaching and learning to harness that. For more info, visit brianrhiggins.com. The energy with which you teach means almost as much as what you actually say. Your dynamic goes a long way in helping people interpret your message, for better or for worse. This episode is all about using your dynamic well to help people understand the Scriptures you're trying to teach. For more info, visit brianrhiggins.com. Talking for 30 minutes about the Bible does not mean you've taught a message. This episode is all about making sure your points flow together in a way that makes sense. 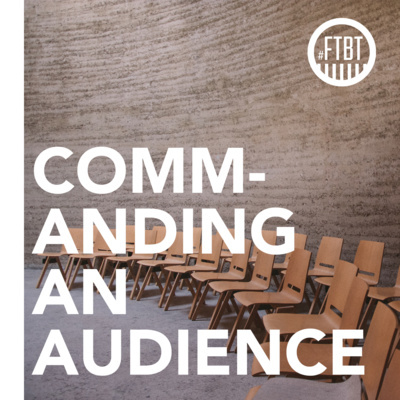 Using practical tips and real life examples, this episode will help your messages stay cohesive. For more info, visit, brianrhiggins.com. Using illustrations is key to teaching the Bible well. This episode goes over how to use illustrations well to enhance your message rather than distract from it. For more info, go to brianrhiggins.com. Bringing the Bible into real life is one of the chief jobs of Bible teachers. This episode dives into the art of applications, pulling specific principles out of a text and showing how they can be lived. For more info, visit brianrhiggins.com. Just like the headings in a book prepare you for what you're about to read next, your main points get people prepared for what you're about to say. This episode goes over how to think about main points, how to use them well, and how to avoid becoming a corny preacher. Also, this episode announces some new things coming to brianrhiggins.com as well as a lucrative sponsorship opportunity. For more info, go to brianrhiggins.com. Closing out your message well is crucial, but so many people let their messages fall apart at the end. This episode explains how you can finish your message well and use your conclusion to help people remember the truths you just taught them. For more info, visit brianrhiggins.com. They say you only have one chance to make a good first impression. That applies to teaching just as much as it does to meeting people. Your introduction is your moment to grip people and get them interested in your message. This episode goes over the basics of introductions and gives practical tips. For more info, visit brianrhiggins.com. When you are preparing your teachings, most of what you're doing is writing your notes. But sloppy notes can lead to sloppy teachings. This episode takes about the importance of your notes, gives some ideas about organization, and reminds you that your notes serve you, not the other way around. For more info, visit brianrhiggins.com. Teaching the Bible is like a pro football team, the product you see on Sunday depends on the preparation done during the week. For many first time teachers, preparing a teaching is such an overwhelming task that they don't know where to start. This episode focuses on the process of preparation and gives some practical tips to guide your preparation. For more info, visit brianrhiggins.com.